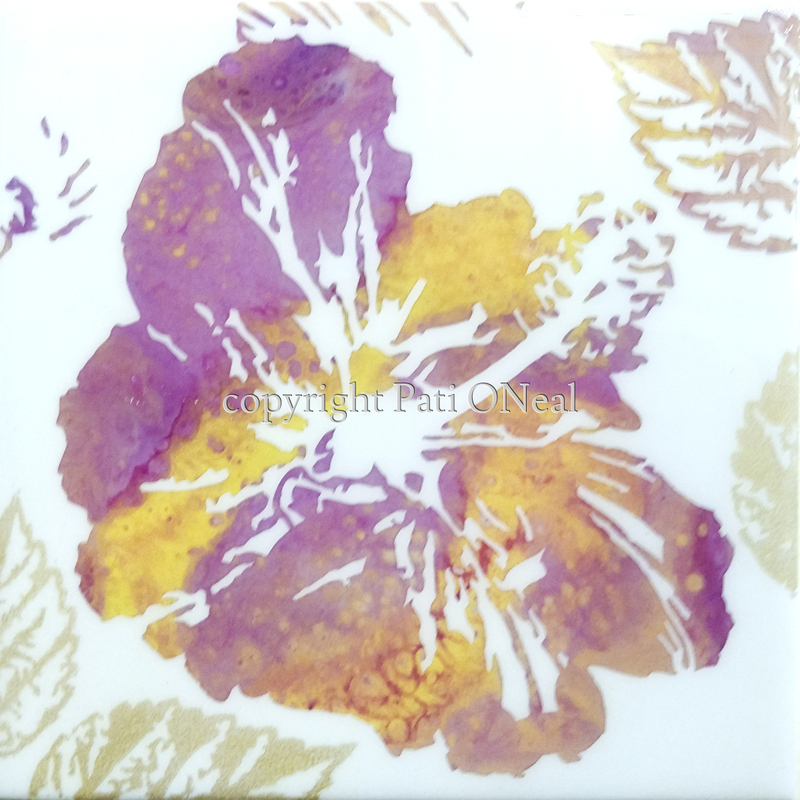 A fun little work of a pink and yellow hibiscus representing the most iconic of Hawai'is flowers. The final appearance is created through the application of multiple layers. This original is currently at Island Treasures Gallery in Kailua, Oahu. For a similar commission contact the artist.